In today’s building market, demand has grown for high-performance/low-impact eco-friendly buildings, often referred to as green buildings. The most prominent, nationally-recognized programs that encourage and recognize environmentally sound building practices include the International Code Council (ICC) National Green Building Standard™ and the United States Green Building Council (USGBC) Leadership in Energy (LEED) and Environmental Design for Homes (LEED®-H). These programs provide high productivity and financial return along with reduced energy, maintenance and environmental burdens. Regional programs that offer eco-friendly green building options also exist. Without an experienced consulting team on your side like Bluegill Energy, you may find these programs challenging to meet for your construction projects. We can help answer all of your questions regarding these national and regional programs. 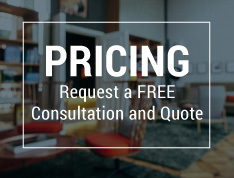 Our team consults with your design team to find savings and benefits by incorporating the latest building best practices and design innovations along with proper implementation to maximize value for your project. With more than 15 years of experience in eco-friendly design, our staff of professionals can help ensure that your contractors meet the requirements for sustainable building and alleviate any concerns you may have. We can also help minimize delays resulting from incomplete inspections by providing builder/contractor pre-construction training. 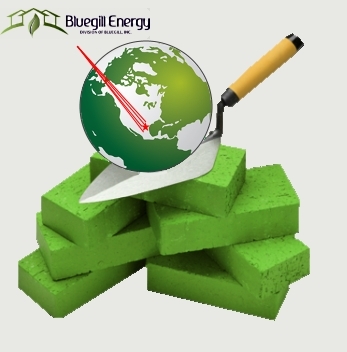 We make eco-friendly construction easier for you.